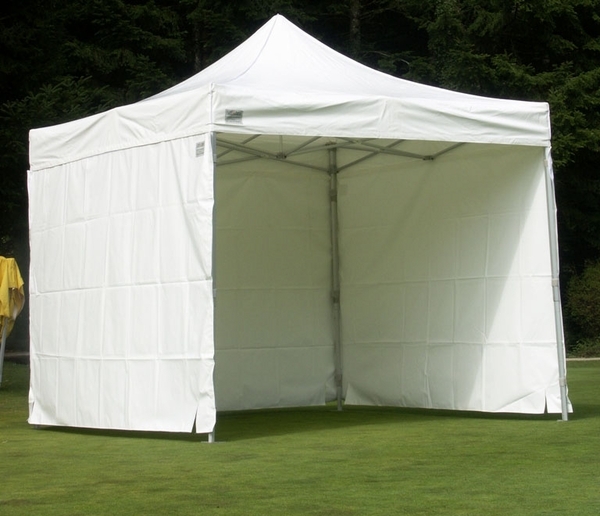 Keep your next party safe from wind and rain with this vinyl tent sidewall. Made of heavy-duty vinyl, this canopy sidewall is flame-retardant and guaranteed waterproof, not just water resistant. The sidewall easily attaches to your canopy with the attached Velcro, which matches up to the Velcro strips on the interior of your canopy top. 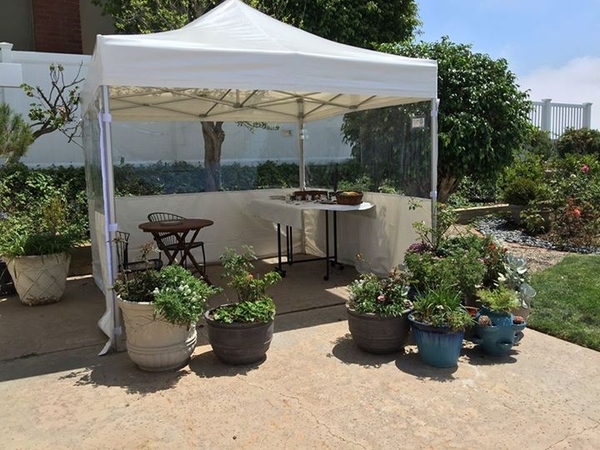 These sidewalls can be quickly installed to protect your tent from the weather, to add privacy, or to give you a way to display your message or products. Do I need more than stakes to secure a Vitabri canopy in the sand? You are viewing a side wall only. The actual Vitabri 10 x 10 Canopy is can be staked in the sand but we would suggest weight bags for the legs as added insurance, as some sand is finer that other sand.